Set off explosions and send jewels tumbling to the bottom of the board. 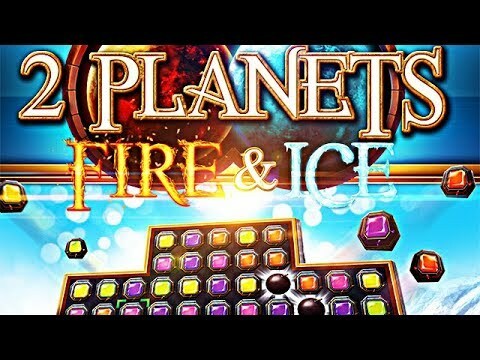 Experience one of the fastest Match 3 games of all time in 2 Planets: Fire and Ice. Glistening with amazing HD graphics, this game offers you the choice of two different game modes. Chill out and clear levels at your own pace in the ice world, or put yourself in the hot seat against the ticking clock on the fire planet. Master the exciting levels by clearing a specified color from the playing field, sending special jewels tumbling to the bottom of the board, arranging jewels in special positions, or setting off as many explosions as possible. Over 140 levels with diverse objectives and a whole lot more guarantee non-stop gaming fun.